The singer Demi Lovato’s mother, Diana De La Garza, spoke for the first time about the overdose suffered by her daughter in July. She confirmed that Lovato had problems with drugs, and said that she survived thanks to the strength of prayers. In an interview with US radio Newsmax TV, De La Garza said she had permission from Demi to talk about the incident and recalled the day her daughter was hospitalized. 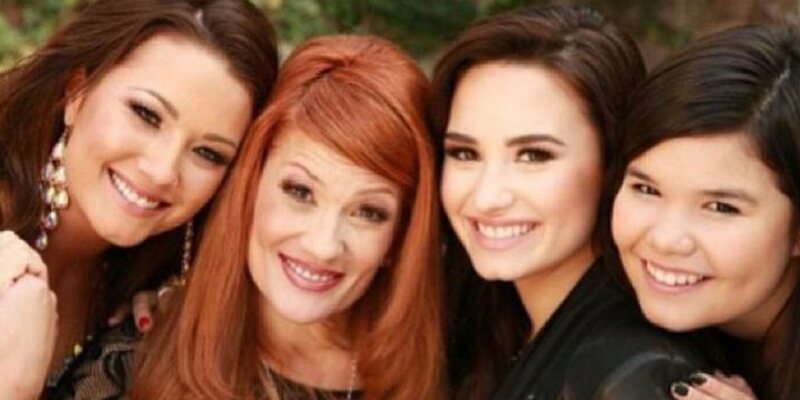 Demi’s mother says, “the messages began to arrive, ‘I just heard the news, I’m so sorry, I’m praying for your family, I’m praying for Demi’. I was shocked, like, what’s going on? My heart collapsed”. She says that before she could read any news about what had happened to her daughter, Demi’s assistant, Kelsey, called. ‘The words that came out of her mouth were hard to hear as a parent. She said ‘Demi had an overdose’. ‘I was in shock, I did not know what to say, it was something I never expected to hear as a mother about any of my children,’ she says. After suffering the overdose, De La Garza declares that Demi is recovering well. “She is happy, she is healthy, she is working on her sobriety and receiving the help she needs and that, by itself, encourages me about her future and our family’s future,” she said. She added a message from Demi to her fans. “I want to thank God for keeping me alive and well. To my fans, I am eternally grateful for all their love and support throughout this week and beyond. Your positive thoughts and prayers helped me navigate this difficult time”.